Kitchen Cabinets: Expectations vs. Reality — Inner City Skyline Inc. Kitchen cabinets like many parts of our home can be done with cheap materials, or go all out with premium quality wood that can last a lifetime. 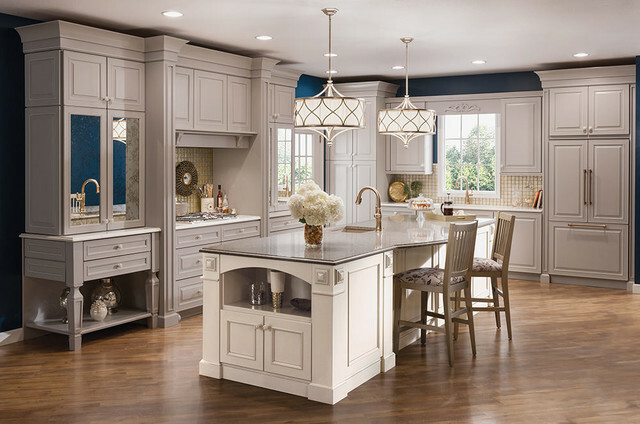 This blog post is for the budget minded homeowners that are looking for new kitchen design or new kitchen cabinets in Los Angeles or Orange County area. We are focusing on expectations and if your expectations fall in line with reality. Most people are delusional when they purchase a product. The sales person pitched a wonderful story and you as a homeowner bought into the idea. The reality is that more often than not, you were sold a story. Here is what you should be looking for when it comes to kitchen cabinets and what makes a high quality cabinet verses a budget friendly one. The most important aspect of this story is simple; you pay for what you get, without the sales pitch. We recommend stores with helpful salespeople that are there to guide you, not to pitch you a product. If you are sold a cabinet, chances are you are getting far less than you should be. Cabinets are constructed out of wood, pressed wood, and something called medium density fiberboards (MDF). These are just fancy words for leftover wood, or reprocessed wood that are not made from what we expect call, premium wood. Quality cabinets brag about cherry wood, cedar wood, and other premium wood that are made from the core of the tree, not the leftovers that are reprocessed. The cheaper cabinets are often built with staples and glue. These are great for keeping the costs low, since laser cutting is not required to create dovetail joinery. These keep your cabinets together for the long term. Staples often come lose when used on paper, imagine that on wood. Staples are used in addition to wood glue, but can they really last more than 5 years? Chances are things tend to come lose and break. Then we have the hinges for the cabinets that slide in and out. Cheaper cabinets are like the ones you find in IKEA and other everyday brands. My personal experience with IKEA is once you remove the cabinet from the stand, they are hard to put back and even harder to put back right! The basic structures of cabinets are simple, but there are tons of ways that a manufacture can lower costs by providing inferior product to consumers. The best low cost cabinet brand to choose from is simply IKEA. They are cheap, and offer the similar designs as the premium quality cabinets. The quality of the cabinets reflects on the price you are willing to pay for it, but it does have a limited warranty of 5 years or so on some of its styles. Kraftmaid is one of the best medium ranged, high quality cabinets to choose. It’s not our most favorite, but they tend to last and are built right. Some of the interesting things they offer are the better quality hinges, cabinet structure and layouts they provide. Learn more with a free estimate. Kitchen cabinets should be built better and a budget kitchen cabinets are just not durable. They are great for homeowners that are interested in remodeling a rental unit, or a guest house with light use. Families that often cook and clean in the kitchen are better conditioned to take advantage of a high quality kitchen instead of a kitchen on a budget. Either way, hiring an expert can help you by guiding you through the design, and material selection in addition to installation. Schedule a free in-home estimate with Inner City Skyline and We Can help you get started!